I don’t know that anybody wakes up in the morning and says, “I’m going to have a great idea today.” And does it! Great ideas usually start with a problem looking for a solution. Five years ago, we were discussing the future of classroom training and wondering what would replace it. Would hundreds of classroom trainers become redundant? Would eLearning bring a new breed of people called instructional designers? Then somebody said, “What about do-it-yourself designed eLearning”. This is a great idea! Now, you don’t know if your idea is any good the moment its created. Neither does anyone else. The most you can hope for is a strong gut feeling that it is. And trusting your feelings is not as easy as the optimists would have you think. There’s a reason why feelings scare us. Asking close friends never works quite as well as you hope, either. It’s not that they deliberately want to be unhelpful. It’s just because they don’t know your world or what’s in your head no matter how hard you try to explain it. Now, what do you think the odds are that one of your friends would recognise the song you’re tapping? If you said zero, you’re either questioning your own tapping skills or seriously doubting the ear of your friend. When this study was done at Stanford University, after tapping a song, people thought it would be easy for a listener to guess it: they predicted that their peers had a 50 per cent chance of naming it accurately. But when they went ahead and tapped the songs, only 2.5 percent actually guessed correctly. Of the 120 songs tapped in total, people expected 60 of them to be recognized. In reality only three were recognized. It’s humanly impossible to tap out the rhythm of a song without hearing the tune in your head. Chip and Dan Heath wrote in their book, “Made to Stick”, – “The listeners can’t hear that tune – all they can hear is a bunch of disconnected taps, like a kind of bizarre Morse Code”. This is the huge challenge of speaking up with an original idea. When you present a new suggestion, you’re not only hearing the tune in your head. In our case, we’ve spent five years working on turning the idea into a product that solves a problem for a small business. We know the lyrics and the melody of our idea by heart. But, its no longer possible to imagine what it sounds like to an audience that’s listening to it for the first time. 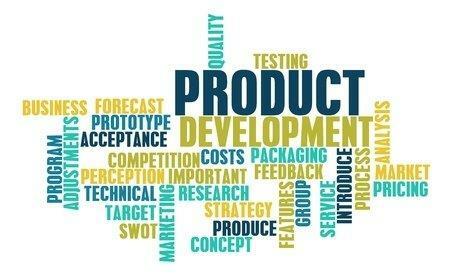 We now need to communicate enthusiastically to the market that most needs our product. We are not the first to market, but we have exclusive features that others do not. Being late to the market often has its advantages. It’s true that the early bird gets the worm, but we can’t forget that it’s the early worm that gets caught. Remember, if you are selling somebody a great idea make sure they have the same tune in their head as you.